For Mother's Day my husband bought me a stainless steel pot and pan. I've had non-stick pans since we were first married, so I loved not having the teflon flakes floating in my food!! But, I had trouble with stuck on food that I struggled to get off. Then, one day after scrubbing forever, I decided to sprinkle some baking soda over the pan. I scrubbed, and the stuck on food came right off! My stainless steel pan was shiny and clean. Using baking soda to scrub my pots and pans works for me! 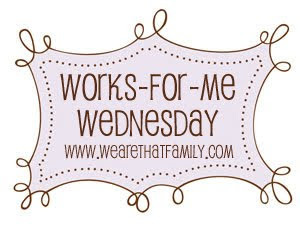 Go to We are That Family to find what works for others! Baking soda does so many amazing things around the house!